A Ukrainian-developed video game, which allegedly allows players to embody a Nazi SS officer at an Auschwitz-like concentration camp, is being investigated by Polish authorities. 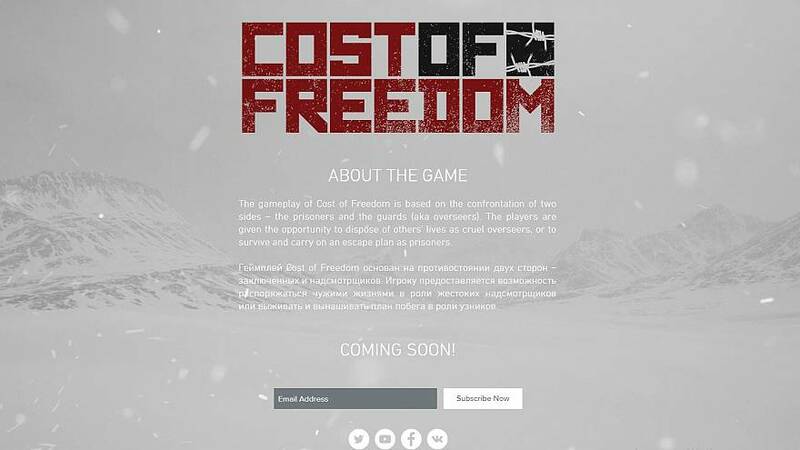 The controversial game, called "Cost of Freedom", is being developed by the small Ukrainian company Alien Games. A trailer for “Cost of Freedom”, which is posted by the YouTube account "Pierre Cocco,” features gameplay that allows players to send prisoners for 'disinfection' to a concentration camp similar to Auschwitz. Auschwitz was a network of extermination camps built and operated by Nazi Germany in occupied Poland during World War Two. Over 1.1 million people lost their lives at the concentration camp. The game makers say "Pierre Cocco" blatantly used old designs and images from the game,and accompanied a song which insulted Poland by referring to “Polish death camps." Alien Games told Euronews "Cost of Freedom" never refers to "Polish death camps" in any of their materials. Euronews reached out to the YouTube account "Pierre Cocco" for comment. The District Prosecutor's Office in Warsaw confirmed that Poland launched an investigation into "Cost of Freedom" on October 16 into what is described as "an insult of the Polish Nation via the internet." Alien Games says they have removed “any association to the camps" from their gameplay and redeveloped the Nazi-like jail to Antarctica, a neutral territory during World War Two. "We respect people's opinion and listen to them," said a spokesperson for Alien Games, "nobody wanted to offend, but if offended, we apologize." Alien Games will launch a new branded "Cost of Freedom" trailer on November 16. Polish officials said evidence is currently being collected regarding the game insulting the Polish nation and promoting a fascist regime.